I stood up, turned to the right, and counted the objects to #3. It was a bag of dark chocolate raspberry truffles. 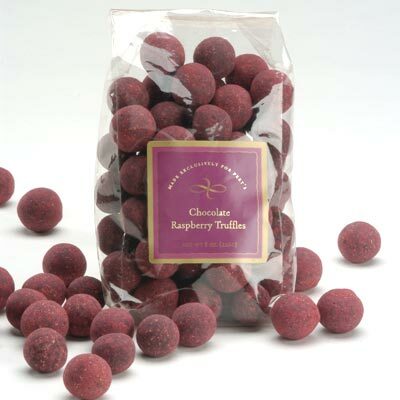 Now, as most of you know, I adore dark chocolate and love the combination of fruit and chocolate, especially raspberries. And truffles are among my very most favorite candies. I bought these several weeks ago at the store and haven’t opened them until now. They are melt-in-your-mouth delicious.Number 3 turned out to be one of my favorite pleasures in the world. Now if I had counted to #4, I would have had trash bags. What would I write about then? What does one say about trash bags? But I didn’t have to write about trash bags, did I? I got to write about individually-wrapped, dark chocolate raspberry-filled truffles. It was a good excuse to open them and have one last night as I prepared to write this post. They are wonderfully delicious. This isn’t the greatest prompt in the world but it helped me appreciate and write about something I love, so it can’t be too bad. This post also appears on my old blog, My Life, Such As It Is.